Salted Caramel Mousse, Aniseed-Flavoured Pear Compote, Ginger Tuile, Berry Coulis, Dried Meringue. This beautiful desert didn’t just look great — it tastes amazing! 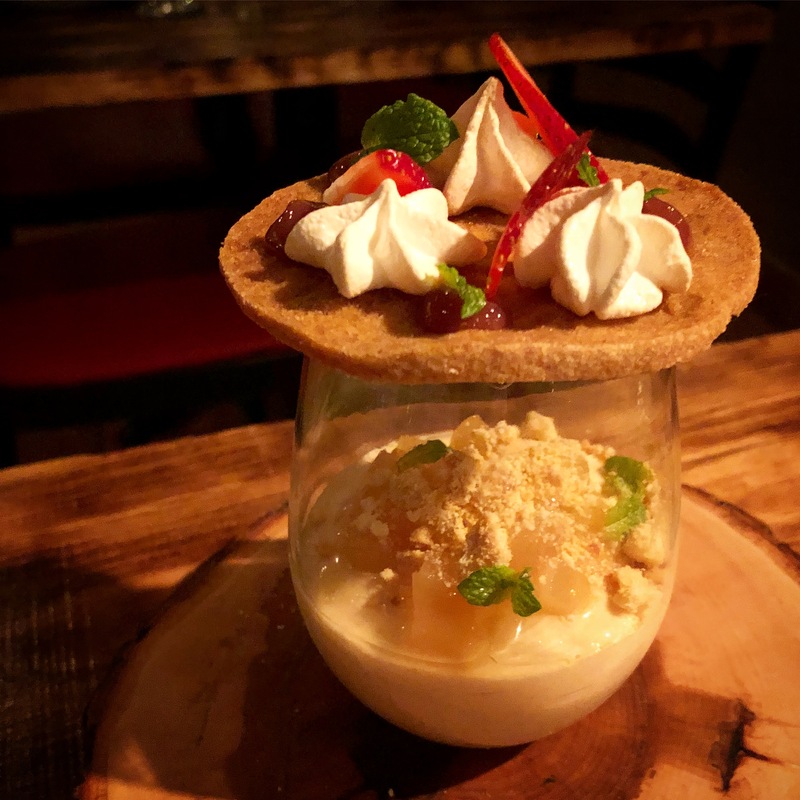 Rustiek Taverne Gastronomique is located at 51 rue Saint-Jacques, Hull/Gatineau and focuses on taking classic dishes and reinventing them with modern twists, which they achieve in all aspects of their menu.